If so, you probably want to do something about it. Chances are it is hurting your productivity as you try to find files and lose track of files you might want to have remembered for later. I am a big supporter of saving files to the desktop, especially if you will be using the file often or need to keep it front-of-mind. However, this approach can also quickly become overwhelming and will lead to frequent clean-ups. The solution? A brilliant application known as Fences. Fences allows you to create “regions” on your desktop for better organization. An example would be an “applications” region where you would store all the shortcuts to applications. You can set the size of each region to display all, or a subset of the files contained within. This way you can strategically keep the most important in front of you while keeping the rest a simple scroll away, within the region. Lifehacker has a great description of the ways in which you can use Fences but the program is very easy to use and self-explanatory. 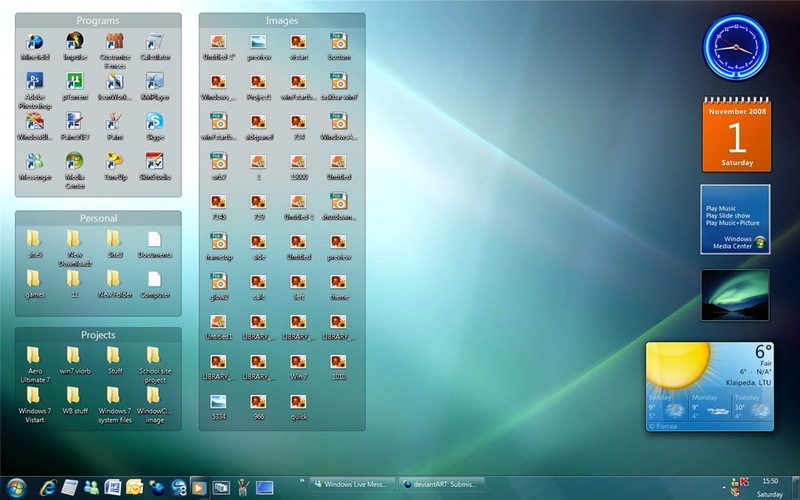 In fact, once it is installed you can select an option for it to automatically organize your desktop for you. This option saved me a lot of time as I was able to have my files automatically categorized and then just make some changes where I didn’t agree with the categorization. Adding new regions is very simple as well (accomplished with a right-click and “Configure Fences” to create new regions). One of the best features of Fences is the ability to automatically have files added to a “New files” region. That way, you know exactly where the files are that you have to deal with and organize when you decide to. You may need the PRO version to access this functionality, however (I have not yet found out for myself yet). Using Fences is not the only answer to the clutter problem but it certainly helps. 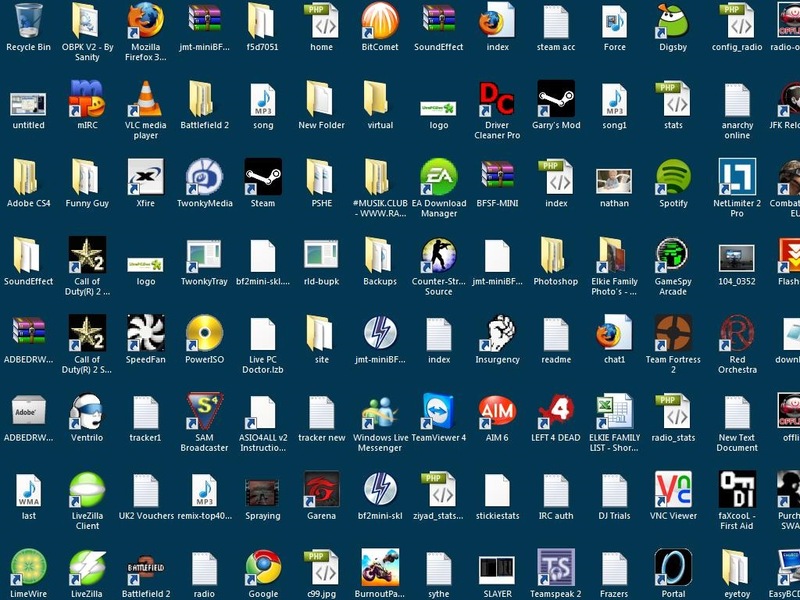 Obviously you will still need to do a periodic clean to ensure you are only keeping relevant files on the desktop but I stand by my approach to keep icons on the desktop. After all, organizing information into folders might actually decrease productivity. Love this, will be looking to clean up my desktop with it soon!